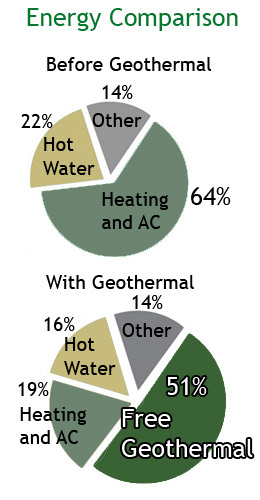 Geothermal is unmached as a way to reduce heating and cooling costs. Using Geothermal for heating and cooling changes the way you pay for energy because you are taking advantage of your own property to heat and cool your home. The chart on the left is an example of how much it is possible to save when switching to geothermal heating and cooling. You can save as much as 75% if you currently heat with electric or oil, and up to 80% if you heat with propane. 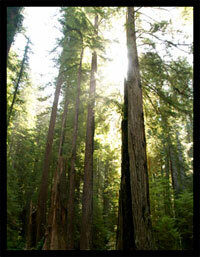 Getting a geothermal system installed in an average home is the equivalent of planting an acre of trees! Geothermal is a clean source of energy, that will never run out.